Oh. My. Word. 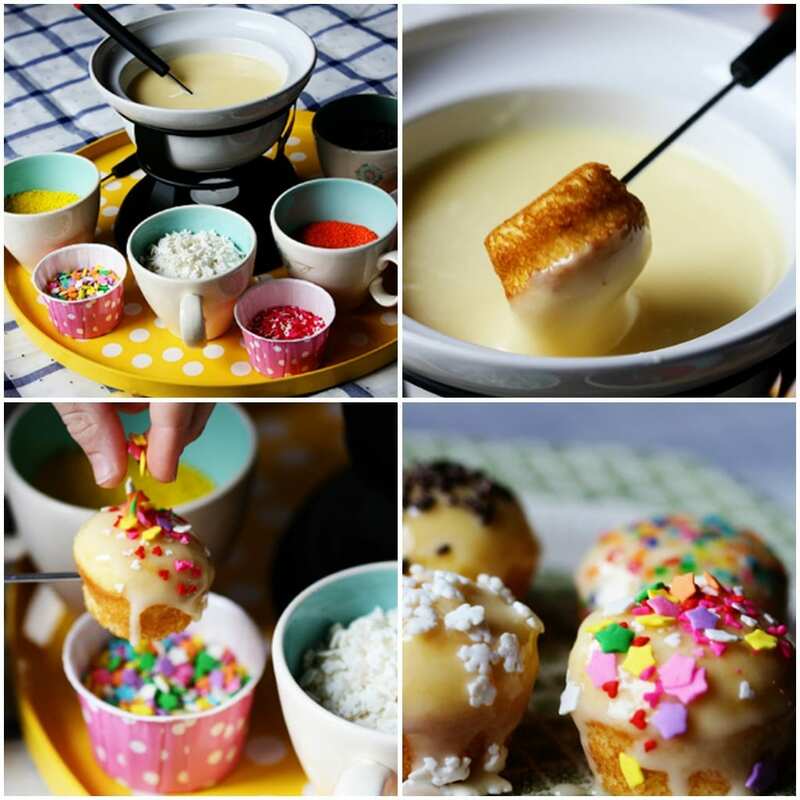 Cupcake fondue. CUPCAKE. FONDUE. If you’ve ever read a girly blog in the past year or so, you’ll probably know that bloggers love cupcakes. Like, more than a friend. I honestly can’t see anything bad with this idea, who doesn’t love dipping food into food? Crazy people, thats who. And they just fling poo about. Anyway. If you would like to come and make this for me, theres a recipe here on Pintsize Social, along with an interview from the amazing genius who came up with it, Amanda from Bake It Pretty. I need to lie down after thinking about so much sugary goodness. Ok, wow, this is just the most amazing idea ever! Neeeed it! Oh my gosh! You had me at cupcake,,,but then you said fondue and I melted! This look sincredible! This has to be the best idea ever!